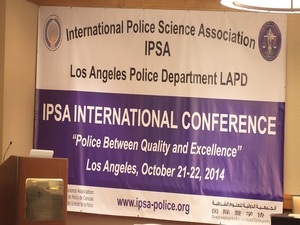 The International Police Science Association (IPSA) will conduct the First Conference in Los Angeles, California on October 21-22, 2014 with the Theme: “Police Between Quality and Excellence” under the patronage of Los Angeles Police Department, California, USA. The Conference is expected to bring in around 40 participants from various sectors of expertise such as police officers, law enforcers, academicians, forensic, non-government organizations, government organizations and other sectors globally. 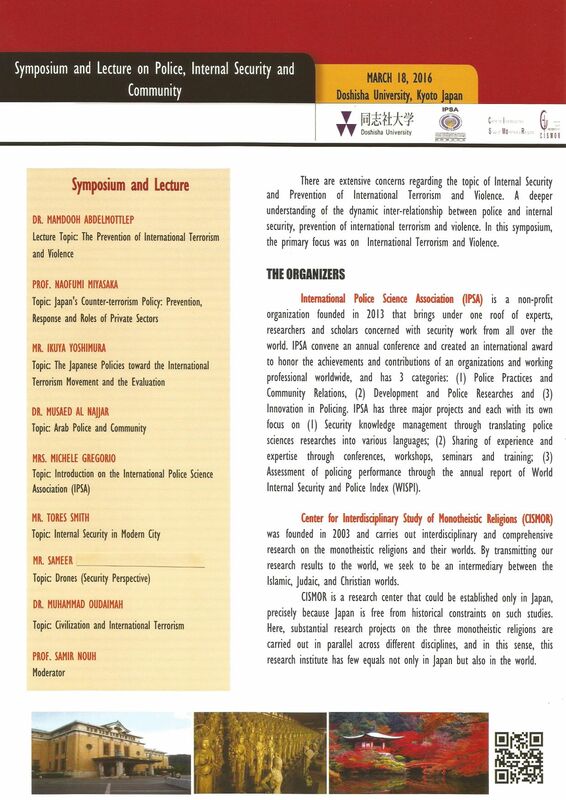 We are certain that all your expertise will contribute to the success of the first IPSA international event. In this connection, we would like to invite all of you to participate in the conference. A registration fee of US $ 1,500 will be charged each participant that will cover expenses for conference, hotel accomodation, materials and other operational expenses. We would appreciate it very much if you could confirm attendance with IPSA Executive Committee email address at info@ipsa-police.org. The schedule and other details for the conference to be announced later. Thank you very much and we look forward to fostering a stronger partnership with you in forwarding police science association internationally.